IT was the preference decision that helped save the Deputy Premier but has caused a split in the LNP. 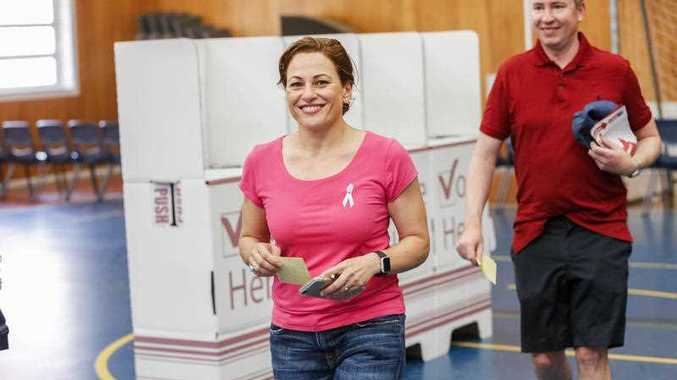 The LNP's state executive was poised to put Jackie Trad last on how-to-vote cards it distributed during last month's election. More than 80 per cent voted to do so, potentially ending Ms Trad's career and installing Greens candidate MP Amy MacMahon in her place. But the move was considered political insanity by some in the parliamentary team. 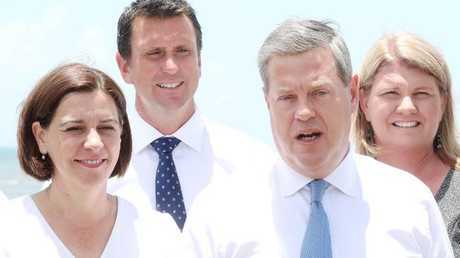 The Sunday Mail understands that outgoing LNP Leader Tim Nicholls successfully moved to overturn it and was backed by some executive members and his deputy Deb Frecklington. Mr Nicholls had referred to the Greens as the worst threat to the state's economy, so moving to install one in the Parliament would fly in the face of those statements. The party was told that Ms Frecklington - now a contender to take over from Mr Nicholls as Opposition Leader - feared that Labor would retaliate in her electorate and overturn its pledge to put One Nation last in Nanango and thereby hurt her re-election chances. In the end, Ms Frecklington won convincingly and Ms Trad hung on in South Brisbane with the help of the LNP. Ms Trad, considered a key Labor strategist and a future party leader, will now take over as Treasurer. The Greens, meanwhile, entered parliament anyway, by claiming the scalp of a potential future LNP leader Scott Emerson. As the LNP readies to pick its next leader, some are still smarting over the South Brisbane decision. "We saved one of their most talented and for what," one senior party member said. Former premier Campbell Newman publicly declared his disgust for the deal on Twitter in criticising Ms Frecklington. "Extraordinary times ! @DebFrecklington running for @LNPQLD leadership after supporting bad preference decision that saw @jackietrad reelected. 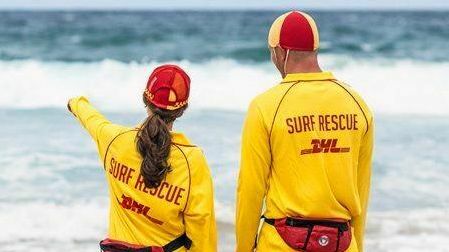 LNP executive appalled," he tweeted on Friday. Others in the party, however, said to preference Ms Trad below the Greens would have been viewed as a petty political move and as "madness."